The conventional account. During the early 1850's, numerous U.S. Government surveying expeditions were made into the Rocky Mountain West. In the Spring of 1853, Captain John W. Gunnison, U.S. Army Topographical Engineer, took command of a party on the Survey of Pacific Road (railroad) route through the central Rockies. His command was made up of Lieutenant E. G. Beckwith, second in command; at least eight civilian topographers, geologists, and for security, thirty soldiers of the Regiment of Mounted Riflemen (U.S. Army Dragoons), Captain R. M. Morris, Commanding. By the first of September, they had negotiated the Continental Divide, and by 17th of October were on the Sevier River, south of present day Manti, Utah. They hired Mormon guides1 from the Manti settlement to lead them on to Lake Sevier. Days before, early in October, a wagon train of Missouri emigrants, en route to California, had passed through the Fillmore settlement and camped on Meadow Creek. 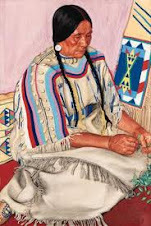 A small band of Pahvant Ute Indians came into the camp; they wanting to trade buckskins for tobacco. The Missourians attempted to disarm the Utes of their bows and arrows. In the fracas, war chief Moshoquop's father was killed by revolver fire. Moshoquop then took his band and moved to a site about twelve miles north east of Lake Sevier. Evening of the 21st of October, Gunnison's expedition camped at Cedar Springs [site of present day Holden, location of artist Frank Thomas' studio]. Captain Gunnison visited the Fillmore settlement (ten miles south of Cedar Springs) and was warned of possible Indian trouble. Moving northwest across the Pahvant Valley, they reached the Sevier River (near present day Delta) in two days. Snow squalls in the mountains, frigid weather, and sand made travel difficult, so a rest was called. The singular tragic event of this ill-fated expedition then occurred. Captain John Gunnison had divided his command, sending the larger force to explore miles upriver, toward the Nephi settlement. Gunnison then proceeded down the river towards Lake Sevier, his small party consisting of four civilians and a corporal and six of the Mounted Riflemen. They camped for the night on the north side of a bend in the river, east of Lake Sevier. Discounting the Indian warning received at the Fillmore settlement, their perimeter security was almost nonexistent. At dawn the next morning, the 26th of October 1853, while eating breakfast, they were surprised in an attack by vengeful Pahvant Ute Chief Moshoquop and forty of his warriors. (note:1 I’ve highlighted some passages in bold font, which will be important later. For the speed reader, I have put the important passages in bold font and the really important passages in red font. Now, for the rest of the story2. John W. Gunnison of Goshen, New Hampshire, graduated from West Point as an engineer in 1837. 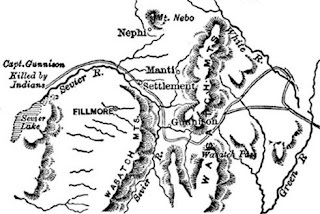 In this capacity, in 1849, as a surveyor with the Stansbury Expedition, which was ordered to chart the waters of the Great Salt Lake and Utah Lake, Gunnison become intimately acquainted with the Mormons, who had settled in Salt Lake Valley in 1847 when that area was still part of the Mexican Territory. While writing the report of the Expedition, Gunnison also wrote and published a small book, The Mormons or Latter-Day Saints, which described this religious movement. Gunnison wrote that the Mormons were excessively zealous for their own sense of divine mission, which they said was to restore the “true” form and content of Christianity and to reform the world in preparation for the Second Coming of Jesus Christ. He believed that their vigorous actions to fulfill this mission were the chief cause of the persecutions they had suffered in Missouri and Illinois. To escape further conflict and secure greater freedom in the practice of their religion, they had left the United States and set up their own “Zion of the Latter Days.” Gunnison believed that persecution had strengthened the Mormon unity and obscured the internal weakness of the movement. They would not provoke further persecution if left alone in their isolated location. Soon their own excesses would produce internal divisions and more temperate beliefs and practices. Given time and freedom, these internal forces would modify their religion toward the mainstream of American values. In 1851, while Gunnison was writing his book, a controversy arose between Governor Brigham Young and the other Federal officers appointed by President Fillmore to govern Utah Territory. Alleged in fear for their lives and claiming Mormon disloyalty and disrespect for the government, these “runaway” officials left the Territory. Gunnison was in Washington at this time. He discounted the significance of the controversy and advised the President and other government officials to allow the Mormons to govern themselves with persons of their own choosing. He compared their demand for self-government to that of the American colonies who rebelled against taxation without representation. He believed that the best policy was to “let them severely alone,” the same policy the Mormons had adopted toward the appointed federal officers they had rejected. In 1853, Captain Gunnison was appointed to lead a survey expedition exploring a route for a railroad to the Pacific Ocean. While in St. Louis, he became aware of Mormon hostility toward his self-assumed role as a “chronicler” of their movement. Recognizing the need for a Mormon associate in the earlier survey, he asked Albert Carrington to begin survey operations between Salt Lake City and Fort Bridger and to provide guides and supplies for him upon his arrival in Utah Territory. He expressed surprise and concern that the Mormons were “down upon him” as an author. At this same time, Mormon expansions of their settlements provoked conflict with the Utah Indians. The Mormons made preparations to defend themselves from this danger by cutting off all aid and trade with the Indians and by fortifying and “walling in” all of their towns and villages. This action, they believed, would also provide safety from thieves, from hostile emigrants and from military invasion, which they were taught to expect from the American nation and from other nations of the world who would oppose the establishment of the Kingdom of God on earth. The Mormon conflict with the Indians became most violent just as the Gunnison Expedition entered Utah Territory. Gunnison became aware of possible Indian danger to his own Expedition as he came to the village of Manti, on October 19, 1853. Despite the lack of communication from Governor Young or from Albert Carrington, Gunnison hired Mormon guides to help complete the survey. On the advice of these guides, he changed his earlier plan to follow the course of the Sevier lake. Instead, he followed the California Trail to Fillmore, intending to approach Sevier lake across Pahvant Valley. 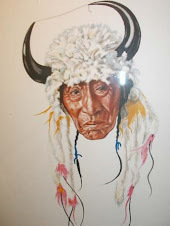 While at Fillmore, Gunnison was told by village President Anson Call that local Indian conditions were also dangerous. One of several nearby bands of Pahvantes, led by Chief Kanosh, had recently had a tragic encounter with a party of emigrants bound for California. A band Chief had been killed. Sons of the slain leader demanded vengeance. It is not certain Gunnison was told that the Indians asked for Mormon help or that when their own efforts at vengeance failed, the band threatened to attack Fillmore. When Brigham Young was informed of this danger, he sent his special Indian agent, Dimick Huntington, to Fillmore to appease the Indians. Captain Gunnison talked to Huntington, whom he knew from his earlier experience in Utah. He was assured that the problem had been solved. Peace had been guaranteed for the future in talks Huntington had held with Chief Kanosh and members of this band. This knowledge gave Gunnison “an unusual felling of security,” about this particular band of Indians. 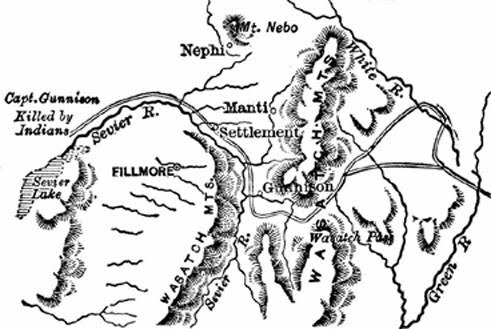 Gunnison was anxious to complete his work near Sevier Lake so he could make a further survey up the Weber River to Fort Bridger and back by way of Timpanogos River. This was the task he had asked Carrington to perform prior to his arrival, but it had not been done. Cold weather had set in. Soon the mountain passes would be filled with snow, making further work toward Fort Bridger impossible until spring. Gunnison had to file his report before February. He wanted his superiors in Washington to know that he had found excellent passages through the Rocky Mountains where a railroad could be built. This sense of urgency, together with his belief that the local Indians were friendly, led him to divide his survey party. Upon reaching Gunnison Bend of the Sevier River near present Delta, The Captain led his party toward the lake. These men were Richard Kern, his artist and topographer, Frederick Creutzfeldt, his botanist, William Potter, his Mormon guide, John Bellows, an employee, and a corporal' s guard of seven men of the Mounted Rifles. The balance of the party, under Lieutenant Edward G. Beckwith and Captain Robert M. Morris, turned east to explore the passage of the river through the mountains near present Leamington. Gunnison's men were observed by the band of thirty Pahvant Indians who had threatened to “kill all Fillmore.” They had not been contacted by Dimick Huntington and were still seeking vengeance for death of their leader. The small group of Americans was a ready target for revenge as well as for guns, ammunition, horses, gold and other booty. Accordingly, under cover of darkness and dense vegetation, they surrounded the camp. Just at dawn, they attacked the survey crew and soldiers with rifle fire and arrows. They killed Gunnison and seven others within a few minutes, then plundered and butchered their victims. Four soldiers escaped. One made his way to Beckwith's camp and reported the Massacre. Captain Morris, with the remaining soldiers and the expedition's surgeon, set out to rescue possible survivors, meeting three other escaping soldiers en route. They arrived near the scene, 28 miles distant, just at nightfall, where they discovered three dead and mutilated privates. Rather than risk ambush, the soldiers “stood to horse” through the night, while listening to the wolves devour their comrades. At daybreak the soldiers advanced and found the mutilated bodies of the other victims. They were unable to bury the dead, since they had brought no tools with them. In a vain effort, they broke their sabers in the frozen ground. They had to leave the bodies and return to protect the remainder of the survey party. Lt. Beckwith and Capt. Morris wrote messages to their superiors reporting the Massacre. These, and messages to Brigham Young, were delivered to Salt Lake City by Mormon couriers. Governor Young immediately sent Dimick Huntington to recover the government property and to retrieve and bury the remains of the dead, through these services were not requested by Beckwith and Morris Huntington reported the names of all persons involved in the Massacre and all other details. This information was never made public. In his official report of the Massacre, Governor Young said Gunnison had been warned of Indian dangers and that he had used bad judgment by dividing his party and by his choice of an indefensible campsite. He said that the officers had quarreled among themselves and for this reason Gunnison's body was deliberately left unburied. He believed the Indians should not be “unduly censured” for their conduct and took no action to punish the guilty parties. In this and subsequent reports, Governor Young suppressed the fact of the threat to Fillmore, of Huntington's mission to resolve the conflict, and of Huntington's bad advice to Gunnison. 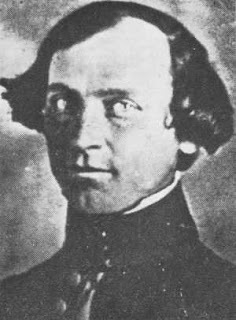 Since no action had been taken by Territorial authority to punish the offending Indians or to seek justice through the courts, the War Department ordered the Expedition of Col. Edward J. Steptoe, enroute to California in the summer of 1854, to stop over in Salt Lake City and take this necessary action. 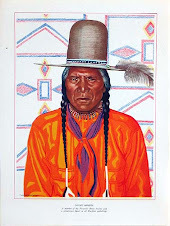 Colonel Steptoe acted on the advice of Governor Young to have the Indians deliver up the guilty parties, rather than to capture and punish the entire band, which the Colonel had intended to do. 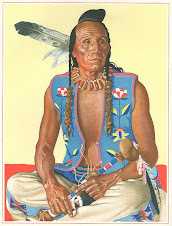 In the spring of 1855, Chief Kanosh promised to deliver eight Indians of the band which had killed the Gunnison party. This number, the Chief said, would “equalize the balance of killing.” Only three of those surrendered were warriors. These were indicted by a grand jury, then tried and found guilty. The jury rendered a verdict of manslaughter, despite specific instruction that this was proved to be a case of premeditated murder. Nevertheless, the verdict was accepted and the prisoners were sentenced to 3 years in jail. Colonel Steptoe, the Judge, and the prosecuting attorneys were incensed by what they believed was a miscarriage of justice. They wrote angry letters to the several Federal agencies they represented, charging the Mormons with defiance of law and failure to discharge their obligations as citizens. It was claimed they did this in obedience to orders covertly given by Brigham Young. A report of the trial, prefaced with acrimonious charges against the Mormons, was sent to the New York Times. Another copy was sent to the San Francisco Daily Herald, adding the fact that the prisoners had been allowed to escape. This angry encounter was made worse by complicating circumstances. While in Utah, Colonel Steptoe was appointed by President Franklin Pierce to succeed Brigham Young as Territorial Governor. The appointment required that Steptoe resign his military commission. Steptoe was willing to accept the appointment provided he could resume his military rank upon completion of his duties as governor. This matter was not resolved before he left the Territory in the spring of 1855. Another complication was created by the involvement of soldiers and Mormon women through the winter. When the soldiers left for California in the spring, nearly 100 Mormon women, anxious to escape polygamy, left with them. To inform the public of the Mormon side of this confrontation, Brigham Young had many affidavits created, charging the soldiers and non-Mormon public officials with drunkenness, gambling, sexual abuses and other irregularities. These were sent to the War Department in Washington as evidence of renewed persecution of the Mormons. These charges and counter charges greatly antagonized public opinion against the Mormons, producing results contrary to what Captain Gunnison had hoped for. A further conflict arising from the Gunnison Massacre occurred following the appointment of William W. Drummond, of Illinois, as a Federal Judge for Utah Territory. Upon assuming his duties in 1855, Judge Drummond declared the Mormon Probate Courts to be illegal, creating great antagonism against himself. 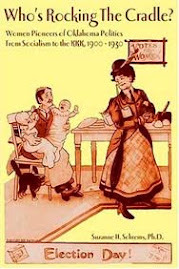 His personal character and his cohabitation with a known harlot, passed off as his wife, also offended the Mormons, particularly because of their polygamous marriage practices. At Fillmore, in 1855, Judge Drummond tried several cases related to the Gunnison Massacre. He became convinced that the Mormons were the perpetrators of, and perhaps participants in the Massacre. His antagonism against the Mormons was heightened by ostracism, as the policy of leaving him “severely alone,” was applied through the winter of 1855-1856. 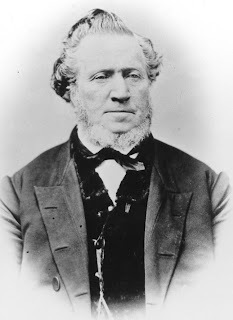 During Judge Drummond's tenure, Brigham Young launched extensive programs to occupy territory open to his control and to gain influence in the American nation. He organized and began to create the Desert Express and Carry Company to establish freight and mail relay stations from Missouri to San Francisco. He devised the inexpensive handcart method of bringing thousands of converts from Europe to Western America, intending to establish villages along the emigration route and to populate additional territories in the American Union. He also undertook a comprehensive religious reformation to purify his people so they could exercise the power of God to aid in the completion of their divine mission. These efforts created internal dissent, particularly when the handcart expedition proved disastrous. The heightened religious zeal produced violence against dissenting Mormons and those Federal officers not of the Mormon faith. In the spring of 1857, which favored slave-holding interests, further undermined the moderate Democratic platform upon which Buchanan had been elected. His party was pressed to prove they could control anarchy in the developing territories. President Buchanan assigned General W. S. Harney to command a military force to aid the Territorial government in Kansas. He replaced Brigham Young as Governor and ordered an army under Col. Albert S. Johnson, to accompany the new governor to aid in the enforcement of the law, if necessary, in Utah Territory. Buchanan's intended actions toward Utah Territory were confirmed to be necessary by further excitement created at the moment by Judge Drummond. The Judge had been absent from his post in Utah for almost a year by the time President Buchanan decided to take action. During this time, Drummond was in California where he wrote newspaper articles, denouncing Mormon behavior, using the pen names Amicus Curiae and Verastus. In April, 1857, he traveled east by way of Panama New Orleans, where he wrote a letter of resignation to the Justice Department. 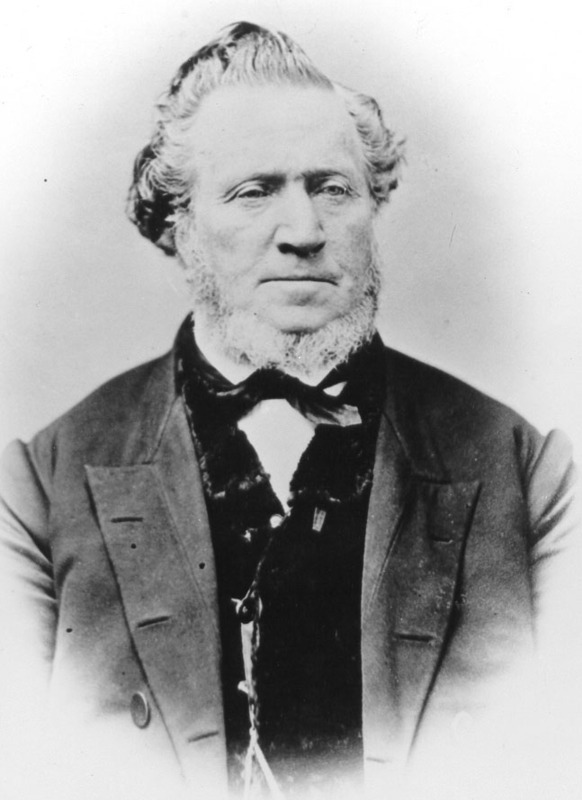 As his reason for resigning, Drummond cited the ungovernable nature of the Mormons under the leadership of Brigham Young. He cited many cases of unlawful conduct, including murderous assaults against dissenters and involvement of Mormons in the Massacre of Captain Gunnison. The accusations were read by Gunnison's widow, who wrote to the Judge that she also believed the Mormons were involved in the death of her husband. These charges received great publicity during April and May, 1857. The Mormons responded by attacking the moral character of Judge Drummond. Brigham Young learned of his replacement and of the troops ordered to Utah from newspaper accounts. At first he was willing to step aside, but he changed his mind. He decided to treat the American army as a mob and took actions to prevent their entry into the Territory. He declared martial law, activated the Militia and enlisted the support of Indian bands throughout the Territory, intending to wage war if necessary. The impending conflict was foretold in the brutal assassination of Mormon Apostle Parley Pratt, in Arkansas, by the husband of one of Pratt's plural wives. In the intensity of these circumstances, during the month of September, 1857, a party of emigrants from Arkansas, Missouri, and Illinois, were attacked at Mountain Meadow and brutally massacred by Indians and Mormons. Mormon resistance against the army evoked public sympathy for their defense of religious freedom. But the deceit and vengeance exhibited in the Massacre at Mountain Meadow, when revealed, destroyed all favorable impressions. These negative views henceforth dominated American opinion about the Mormons. An era ended as Johnston's army occupied Utah and Brigham Young was replaced as governor. Captain Gunnison's book, the Massacre, and its sequels, had much to do with the course and outcome of the Mormon movement during these early years. The charges of Mormon involvement in the Massacre, brought by Mrs. Gunnison and Judge Drummond, among others, were neglected due to the more compelling need to deal with Brigham Young' s resistance to the army and then with the horrible Massacre at Mountain Meadow. Soon the Civil War intervened. For thirty years afterward, the Mormon were under the pressure of Federal law to abandon polygamy and the political aspects of theocracy in order to attain self-government as a state in the Union. These more demanding issues left the Gunnison Massacre as unfinished business. Consequently, there was never an investigation by competent legal procedures during the lifetime of persons with first-hand knowledge. These issues have not since been investigated by competent historical inquiries. - The Mormons, or Latter-Day Saints, by John W. Gunnison. This is a reprint of the 1860 edition. It includes the correspondence of Mrs. Martha Gunnison and Judge W. W. Drummond. 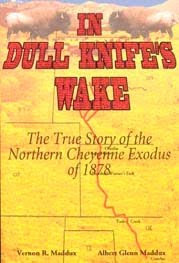 Out of print for more than a century, this classic has been reprinted with an editor's preface written by Dr. Robert Kent Fielding, describing Gunnison's relations with the Mormons, the Massacre, and the major events which followed, through the Mountain Meadows Massacre and the Utah Expedition. 176 pages; Hardcover; $19.95. - The Unsolicited Chronicler: an Accounts of the Gunnison Massacre, its Causes and Consequences, by Dr. Robert Kent Fielding. More than ten years in research and preparation, this work utilizes all known source materials held by major research libraries, providing dramatic and controversial information abut Gunnison, his relations with the Mormons, the tragedy of the Massacre (including Mormon involvement), and the sequels which followed, changing the course of Mormon history. The book is most impressive; much of it reads like an exciting novel. Historians will take notice of the revisionist view of Brigham Young characterized as a “Yankee Mohamed.” The author was a professor of History at Brigham Young and at Wesleyan University. 450 pages; maps; photographs; Hardcover; $49.95. See http://www.millardcounty.com/massacre.html.